[Canada NewsWire] — Last night on YTV’s top-rated series The Next Star, the judges had the difficult task of whittling down the talented pool of finalists to six. In last week’s episode, (Monday, August, 5) a wild card contestant was introduced bringing the total number of candidates to 13, which was then narrowed to nine remaining hopefuls. Kat, Dante, Alicia, Jaden, Paige and Alex have been chosen as the Top 6 and will participate in an array of challenges that will help them master their original sound, style and stage presence. Starting now, viewers will be able to vote via text or online at nextstar.ytv.com and ultimately help Canada choose the Next Star winner. The Next Star finalists were chosen from thousands of hopefuls who auditioned across Canada. Their hometowns include Belle River, Ontario (Kat), Amherstburg, Ontario (Dante), Toronto, Ontario (Jaden), St. Lazare, Quebec (Alicia), St. Albert, Alberta (Alex) and Winnipeg, Manitoba (Paige). The final six will be mentored throughout the remaining episodes, but in the end, only one will win the coveted title and receive the grand prize at the series’ finale on Sunday, September 22 at 7 p.m. ET, broadcast live from Canada’s Wonderland. Fans will be able to tune in at 6:30 p.m. ET for an exciting pre-show leading up to the finale broadcast. While only one will ultimately take the crown, each of the six singing hopefuls will record an original song – which will be available on iTunes – and also star in their very own music video. The finalist who wins the title of “The Next Star” will also receive a $5000 Sears Shopping Spree, a 1 Song Recording Deal distributed through Sony Music Canada, and an Epiphone Masterbilt Guitar. Produced by leading Toronto distributor and producer Tricon Films and Television in association with YTV, The Next Star airs Mondays at 7 p.m. ET/PT. Seen in over 11 million homes across Canada, YTV is a leading entertainment brand for kids.YTV offers quality entertainment for kids and families with hit Nickelodeon series, blockbuster movies and original Canadian programming. YTV reaches its viewers online at YTV.com and in local communities with the traveling road show WOW!. YTV is owned by Corus Entertainment Inc., a Canadian-based media and entertainment company. 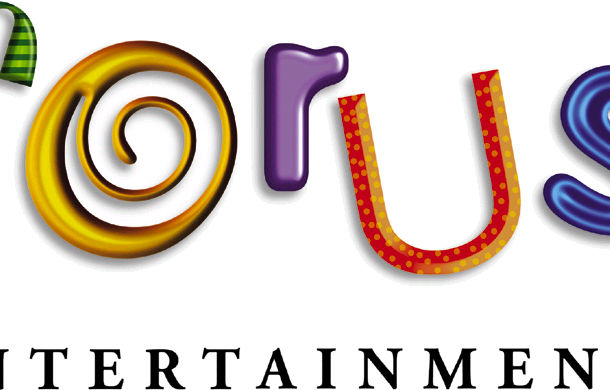 Corus is a market leader in specialty television and radio with additional assets in pay television, television broadcasting, children’s book publishing, children’s animation and animation software. The Company’s multimedia entertainment brands include YTV, Treehouse, Nickelodeon (Canada), ABC Spark, W Network, OWN: Oprah Winfrey Network (Canada), Cosmopolitan TV, Sundance Channel (Canada), Movie Central, HBO Canada, Nelvana, Kids Can Press, Toon Boom and radio stations including CKNW AM 980, 99.3 The FOX, Country 105, 630 CHED, Q107 and 102.1 the Edge. Corus creates engaging branded entertainment experiences for its audiences across multiple platforms. A publicly traded company, Corus is listed on the Toronto Stock Exchange (CJR.B). Experience Corus online at www.corusent.com. Tricon Films & Television is one of North America’s strongest independent production and distribution companies dedicated to producing and representing groundbreaking television. Tricon has fast emerged as a leading supplier of high quality factual and scripted content that continues to perform successfully both domestically and around the world. Launched in 2002, Tricon’s distribution arm has an impressive track record of selling a broad mix of award winning programming from primetime scripted comedy and dramatic series, to reality, lifestyle, factual and documentary series. www.triconfilms.com.